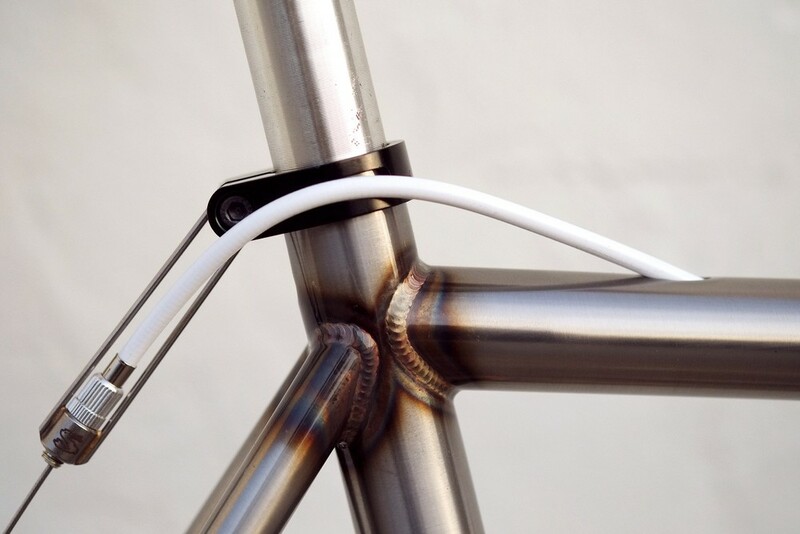 I love this Cinelli MASH Work frame not just for its raw finish, but also for that internal rear cable routing for brakes. This one is a collaborative built by John Prolly and Golden Saddle Cyclery. The standard MASH Work frame is already amazing, they just took this one to 11.